You’ve probably heard of Virgin Mobile. “That one carrier that’s under Sprint with so-so phones,” you might think of it. In a nutshell, that’s basically how it’s viewed in the industry. But relegating it to such austerity is to ignore the quiet shakedown currently trembling through the company’s ethos. If you’ve never considered Virgin as a viable option before, you will now. In an effort to build brand awareness, Virgin is making a very concerted effort to redefine the carrier/customer relationship through a dose of guerrilla marketing and hilariously low monthly rates. By piggybacking off what Virgin has learned and accomplished as a record company, the carrier’s subsidy pricing is an attempt to communicate a vision that’s relatable and, above all else, something you’d want to tell your friends about. As part of Virgin’s front row audience during the June summit, I got to hear and see first hand that it’s not about getting the most subscribers, or settling for anything less than what people deserve. It’s about being part of a family, part of a culture that actually cares about its customers and looks upon them as individuals, and not as statistics. That’s what it’s about for Virgin, selling a culture. 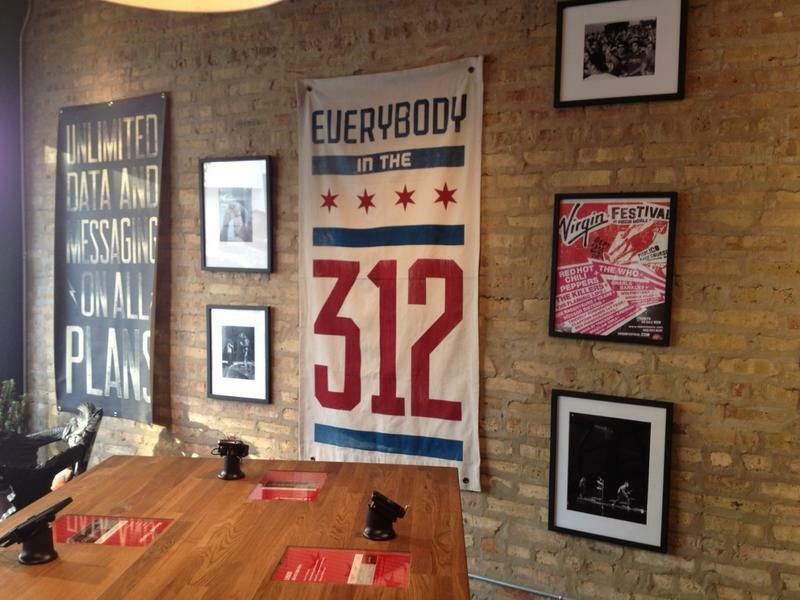 In addition to expanding its online and commercial presence, Virgin recently opened up a brick and mortar location in Chicago that’s more lounge/record store than an actual retail environment. 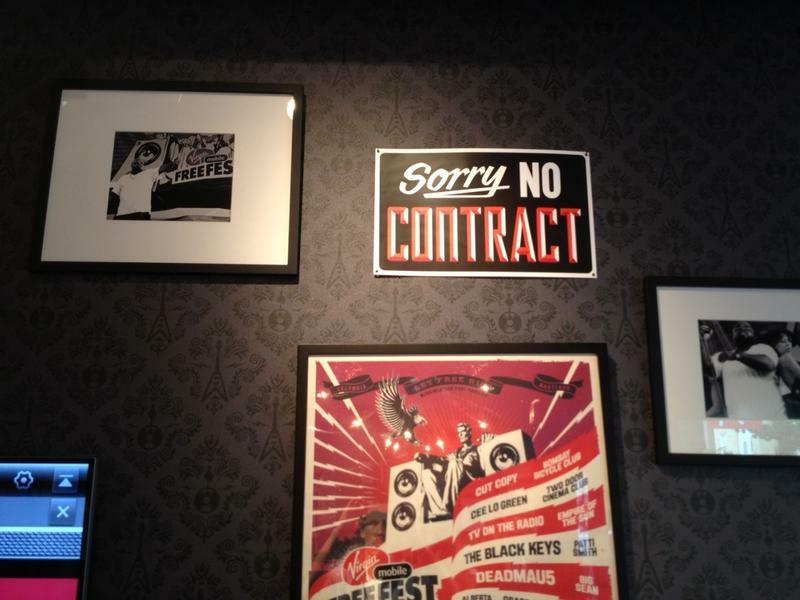 Heavy on style, the store gives off a Rock’n’Roll vibe, with numerous framed photos and concert pictures decorating the walls. The store — more are planned for Chicago and other major cities across the U.S. — is designed to be a place you’d want to hang out with your friends. Here, Virgin will educate interested patrons on what they can do with their device, not necessarily on selling a device because it’s an iPhone or Android-powered smartphone. After spending five minutes in the Lincoln Park location, I’d say Virgin created an experience unlike anything in the wireless industry. Virgin is a carrier, yes, but its focus is in creating a blend of pop culture and technology, not to become an uncaring machine. 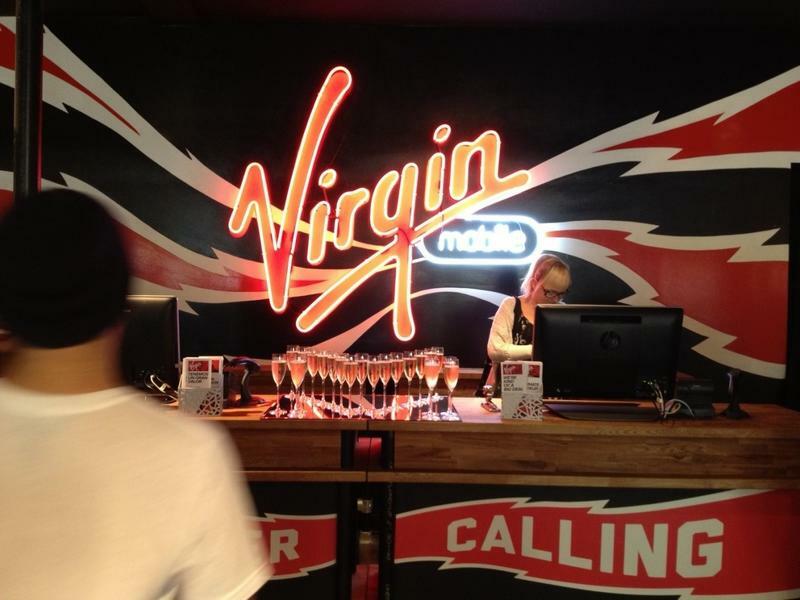 With plans starting at just $35/month, and such devices as the iPhone 4S and HTC EVO V on offer, Virgin’s nonchalant approach and preference for actually caring about its subscriber base might just be what this industry needs.